I've always had a soft spot for upper Dixon Street. It feels like there's a sort of unspoken line drawn between Taiwainese dessert bar Meet Fresh and everything beyond that. Lower Dixon is food court central, and home of many unremarkable Cantonese restaurants (props to Super Bowl and its lifesaving 3am congee, though). 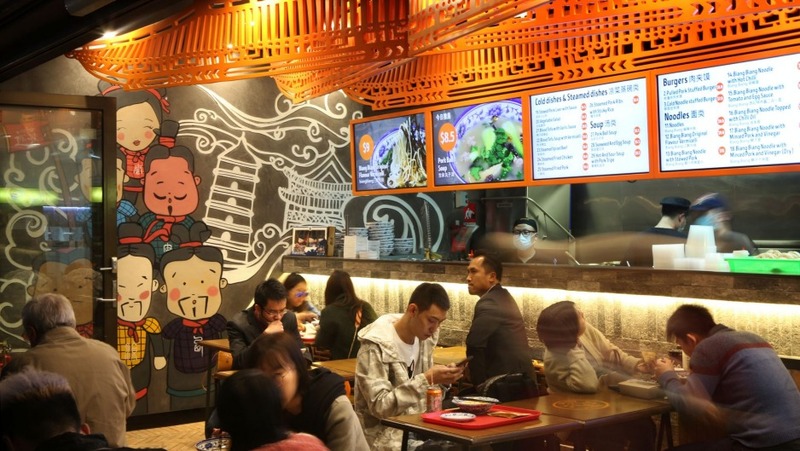 It feels more like a moveable feast on Upper Dixon, where, with the exception of the Uighur restaurant, Arisun Korean fried chicken, Old Town Hong Kong Cuisine and Taiwanese grill shop Crazy Wings, the chances of a restaurant sticking around for more than a few months are slender. In fact, Crazy Wings seems busier than ever – how could they not, when they're serving toast on a stick? 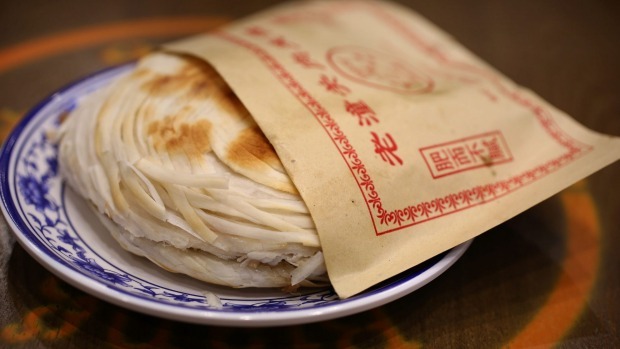 Anyway, here's hoping this Shaanxi noodle shop sticks around. It's a winner, from the beancurd and pickled vegetables in chilli oil to the pulled pork burger, a mass of juicy braised and shredded pork captured in layers of thin, flaky pastry. It comes sliced in half for ease of chomping, in its own little brown bag, which very quickly becomes translucent thanks to all that fatty meat. Calling it a "burger" on the menu might be stretching the friendship very slightly (think of it more as a Chinese pancake sandwich) but considering the deliciousness factor, that's forgivable. The "steamed fried chicken" presents a bit more of a challenge – mainly for its (deliberately) soggy texture than anything else. I don't hate it, but I also don't want to eat any more of it. Unlike every noodle dish on the menu. These, I could very happily eat forever (sorry, breakfast spaghetti, you've been usurped by a more powerful God). While I'm very keen to go back for the cold noodles dressed in garlic oil (they've sold out by the time I arrive), the biang biang noodles (one of the 10 strange wonders of Shaanxi) dressed in chilli oil are on, and are excellent. Wide, firm noodle ribbons, silky and glutinous, are coated in that chilli oil, and finished in chilli powder, bean sprouts and baby bok choy. It's powerfully, but not unbearably, spicy. There's the vermicelli that sees thin glass noodles coated in a coriander-laced crimson sauce of beancurd and thick stubs of chopped biang biang noodles. It might look like a fist fight, but its deep, dusty roast chilli savour is almost a gentle caress. Almost. 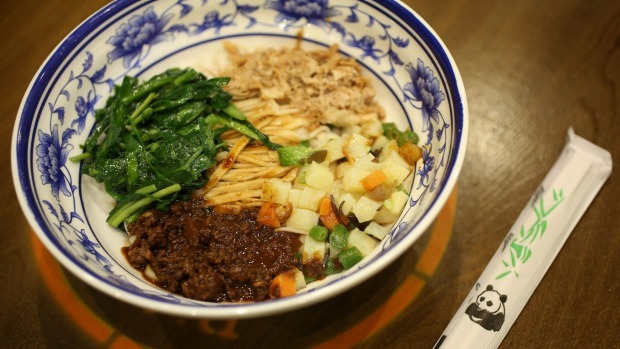 Minced pork and pickled vegetables over slender noodles (it's quite cool, watching cooks in the street-facing kitchen hand-pull the noodles in double arm span lengths) doused in Chinese vinegar seems a little tame in comparison. Given nearly all the seating is basically on the street, you'll want to time your visit for a mild evening (unless, reader, you're British in which case I'm given to believe you'll eat outside in a hurricane). It's cash only, but also outrageously cheap, so if you've got a twenny in your pocket you'll be living large. These guys are pretty relaxed about BYO, too. Tsing Tao at will, and have at it. Bottom line: Pulled pork burger $8; biang biang with chilli oil $10.50; biang biang original vermicelli $9. Pro Tip: Take a book and solo dine like a champion. 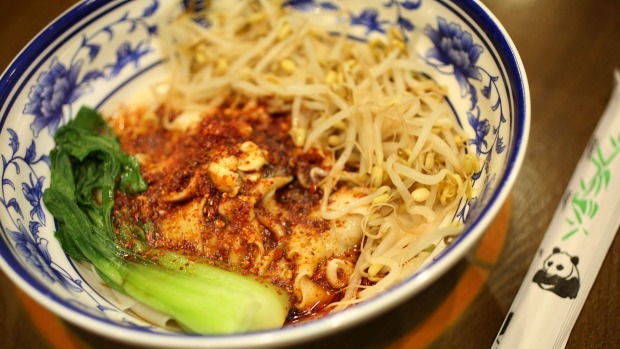 Go-to Dish: Biang biang noodles doused in chilli oil are essential.